The following 8 questions, adapted from the American Psychiatric Association's diagnostic evaluation for gambling addiction, are used to differentiate between addicted and non addicted internet users. These questions are not yet endorsed by the APA as a diagnostic evaluation for internet addiction, but are used by many practitioners as a screening tool. The test was developed by Dr. Kimberly Young. Answering yes to 5 or more of the preceding question indicates an internet addiction. This test has not been endorsed by the APA, nor has it been proven to be an accurate diagnostic tool. If you answer yes to any number of the preceding questions, you should consider the possibility of an addiction, and should take steps to get a more formal diagnosis from a licensed doctor or therapist. 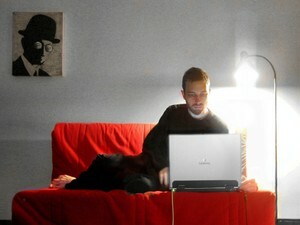 Internet addiction is treatable, but it won't go away on its own.